In today’s nonstop world, free time is a rarity. Let Luxury Maids give you one less thing to worry about and more time to enjoy your spare moments. 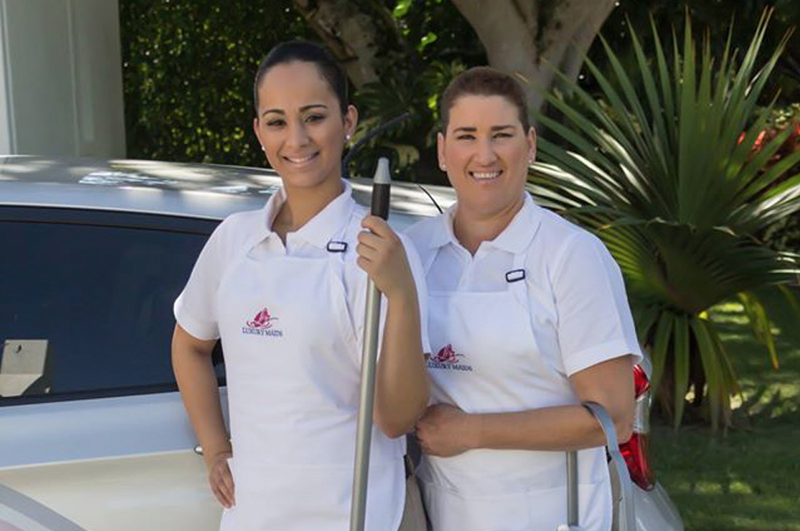 Servicing Palm Beach County homes and businesses, our friendly cleaning experts provide meticulous, professional services — including house cleaning, office cleaning — tailored specifically to each client’s needs. There’s a big difference between old dirt and new dirt, and our Deep Cleaning addresses them both. This detailed and thorough cleaning lays the foundation for our regularly scheduled maintenance by getting rid of the old dirt and whipping your home into tiptop shape. Our team cleans from top to bottom; focusing on a variety of initial tasks, which require extra attention, and concentrating on the areas that aren’t normally cleaned along with those that are traditionally heavy-traffic. This type of cleaning can be broken down into three parts. LEVEL 3: Top to bottom cleaning LEVEL 2: General Cleaning LEVEL 1: Courtesy/ Broom Swept Cleaning Move In Cleaning: This is the most in depth cleaning and one that takes the most time. No cleaning job is exactly like another. You tell us the specific areas you would like us to focus on and we will take care of it. Post Construction Cleaning: You can count on us to remove (post-construction) dirt, dust and debris to make your properties move-in ready. We offer final and touch up construction cleaning services to newly built residential homes, condominiums, and commercial offices. While many contractors will do a basic cleaning, there is still a lot to do. When cleaning post construction: EVERYTHING needs to be vacuumed, wiped (sometimes several times) to get rid of any construction dust chalkiness and then wiped again.